Though the existence of Jewish regional cultures is widely known, the origins of the most prominent groups, Ashkenaz and Sepharad, are poorly understood, and the rich variety of other regional Jewish identities is often overlooked. Yet all these subcultures emerged in the Middle Ages. Scholars contributing to the present study were invited to consider how such regional identities were fashioned, propagated, reinforced, contested, and reshaped-and to reflect on the developments, events, or encounters that made these identities manifest. They were asked to identify how subcultural identities proved to be useful, and the circumstances in which they were deployed. 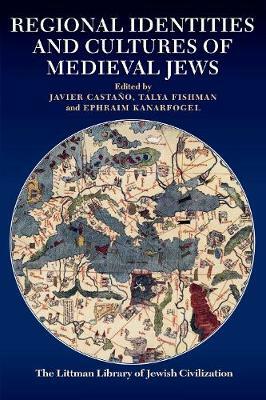 The resulting volume spans the ninth to the sixteenth centuries, and explores Jewish cultural developments in western Europe, the Balkans, North Africa, and Asia Minor. In its own way, each contribution considers factors-demographic, geographical, historical, economic, political, institutional, legal, intellectual, theological, cultural, and even biological-that led medieval Jews to conceive of themselves, or to be perceived by others, as bearers of a discrete Jewish regional identity. Notwithstanding the singularity of each essay, they collectively attest to the inherent dynamism of Jewish regional identities.